Chen Yu method - "Gong fu frame"
Born 5/23/1962, in Chen Jia Gou Wen County, Henan province, currently resides in Zhuozhou, after living most of his life in Beijing, China. He is 17th generation Chen Taijiquan teacher Chen FaKe’s grandson and 18th generation teacher Chen ZhaoKui’s only son. At 7 years of age he began to follow his fathers teaching seriously training taijiquan and has spent his life developing students of skill in real functional, martial Taijiquan, preserving the family heritage in it's truest form. 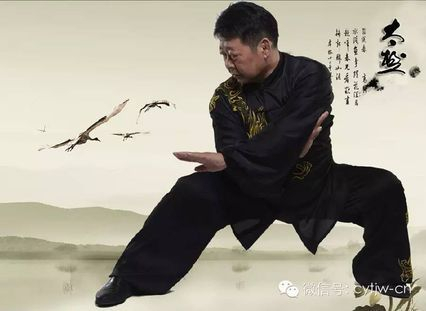 Unlike most of the modern lines of Chen Taijiquan, Chen Yu's method retains the full traditional martial curriculum and body method passed on by Chen Zhaokui. Master level practitioner, teacher and 20th generation lineage holder in Chen Family Taijiquan. He preserves and develops the 'gongfu' system of Chen Zhaokui and his father Chen Fa-Ke via the teachings of his only son Chen Yu. He is also a former student of 'Gene' Chen Jinhong and the very famous Feng Zhiqiang. 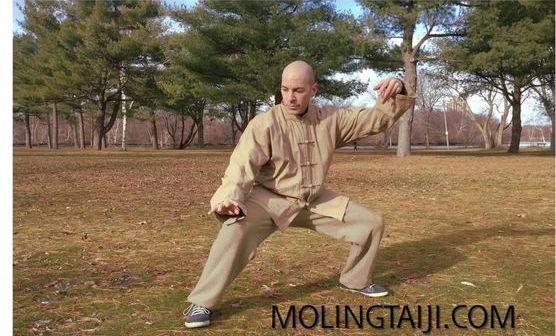 Marin's level of development and expertise is a rare thing indeed, in the modern climate of sport oriented Taijiquan and easy commercial grade Taijiquan for the masses. His highly refined art is powerful, sophisticated and functional, and stands far above what is commonly taught. Marin is passionate about preserving the traditional but highly difficult 'gongfu' methods and does not 'water down' his teachings for commercial concerns. Summer 2019 in Poole, Dorset, England. Friday 21st to Monday 24th August. There is also an option of extra training in the couple of days following, if people want. Intensive training in Chen Taijiquan with Master level teacher, Marin Spivack, senior disciple of Chen Yu, and inheritor of the Chen Zhaokui line of Taijiquan Gongfu. 4 days of hard training in this functional system of traditional gongfu that is complex, very rich in detail and both physically and psychologically gruelling. This event is for those that want real traditional martial art that is not watered down for commercial concerns. A great opportunity to get started on learning the Chen Yu method from a high level expert and most senior representative of the style, outside of China. Each participant will be required to contact us to book a place, and arrange payment in advance. The cost will be £400 (gbp) for approx 24 hours (4 days x 6 hours) of detailed training. An opportunity not to be missed. Please get in touch asap!